Of course – as with all candidates, regardless of background – it’s important to determine whether the candidate is ready, willing, and able to do the work; and if he or she is a good cultural fit for the organization. Military veterans are no different in this regard, but there are a few tips and tactics that can assist with evaluating a veteran candidate for a position. The veteran hiring version of this process can be described as the Three A's: Achievement, Attitude, and Ambition. Of the three, assessing individual military achievement may be the most confusing for hiring decision-makers. As with any applicant, past performance is the best indication of future results. The challenge for most recruiters is understanding the nature of the candidate's achievements in the context of their military experience. Rank Advancement Since the military is a large and often bureaucratic organization, many aspects of rank promotion are a function of "time in grade" guidelines. In some services – for example, the Navy -- eligible enlisted personnel can show initiative by studying for and passing examinations for promotion. To assess a veteran candidate, start with questions such as: “Tell me about your promotion history in the service. Were you promoted on track or ahead of your peers?" Listen for responses that include phrases such as "meritorious promotion," "sat for the examination," and so on. Commissioned officer promotions tend to be more time-based, but one can ask: "What did your official evaluation reports say about your performance?" Each service has a different name for these reports, but all have them. Awards All military services love to issue badges, ribbons, medals and other awards. Some identify the holder as a genuine combat hero (e.g., Navy Cross, Silver Star); some denote generally administrative or garrison accomplishments (e.g., Army Achievement Medal); and others are given to whole units or individuals for participation in campaigns or deployments. Finally, there are some that are basically given for showing up or staying out of trouble (e.g. ; Good Conduct or National Defense medals). Ask the applicant directly. Most veterans are very honest about the relative importance of certain awards and will honestly share with you their true meaning. But don't hold the absence of certain recognitions against a candidate. For example, a sergeant on a general's staff is more likely to have earned formal awards than a front-line squad leader. Seek to understand the context in which recognition is granted. Military School Selection and Completion Even more impressive than most decorations and awards are the many military schools that feature rigorous selection and completion criteria. Most hiring managers know that service academies like West Point are highly selective colleges, but how many know that only 42% of those who attempt U.S. Army Ranger School complete the arduous nine-week course? Likewise, other schools -- Navy Nuclear Propulsion and Underwater Demolition, Air Force Para-Rescue, and Marine Officer Candidates' School, to name a few -- routinely screen out large numbers of starting participants. Again, ask colleague veterans, do your online research, or ask the candidate himself about the courses he has completed. Extracurricular Achievements While on active duty, some veterans find time to complete civilian certifications, degrees, and community service; and some even moonlight in jobs. Hiring decision-makers should be favorably impressed by candidates who accomplish these sorts of achievements -- but slow to criticize those who do not. Training and deployment schedules and the nature of military life often conspire to make such activities impossible for those in otherwise very challenging roles and units. Civilian Achievements A skilled interviewer will seek to understand other achievements and socialization that the candidate may have experienced before or after their military service. Perhaps the veteran comes from a family of sales people, assisted with a family retail store, or worked in a related industry since getting out of the service. Never assume that a veteran has "only" military experience. You may have to tease this information out during an interview, but you may be pleasantly surprised with what you discover. One area in which veterans typically shine is attitude. Teamwork, leadership, and mission orientation are certainties with most veteran candidates. But the skilled interviewer will still want to probe on this. Learn to differentiate between confidence and hubris, humility and self-effacement, and gratefulness and entitlement. Although veteran candidates should be interviewed the same as any other applicant, you need to be sensitive to the context through which most service members experience the civilian job market. From the moment of enlistment, military personnel are served doses of conflicting messages. Sometimes they are told to expect to be embraced by a grateful nation who is eager to bestow high-paying jobs to any veteran. Other times, they are told that veteran unemployment is chronic and overwhelming for even the strongest of their peers. Of course, reality is somewhere in between, and the skilled interviewer will interpret conversations with veterans accordingly. Finally, an interviewer must assess the relative ambition of the candidate. Is the 20-year retiring veteran truly eager to build a second career at your company, or is he content to kick back and coast? Most veterans aspire to continue developing their leadership skills, and they will often talk of "making a difference" and "getting a seat at the head table." Don't be concerned that this candidate is too aggressive. Culture fit is critical, of course, but remember that many veterans see all advancement as largely a function of leadership exercise. They may not yet understand that salesmanship, operational efficiency, or administrative competence are equally valued in the civilian realm. Be patient and compassionate, but listen carefully for the candidates' motivating ambition and how well that matches your need and culture. Veterans truly represent the finest talent our country has to offer. 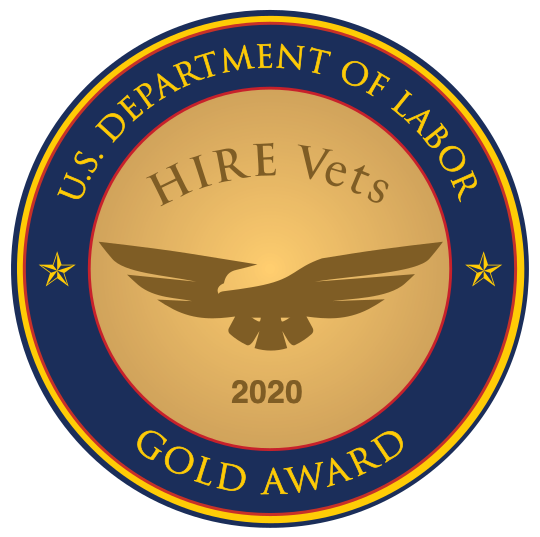 Organizations of all stripes thrive when they include veteran hiring initiatives among their best human resource strategies. Don't be intimidated by the prospect of interviewing veterans. Follow the three A’s, and you will be one step closer to identifying and attracting the high-quality veteran talent your team needs.